Look, I’m not going to lie to you—if you’re looking for me on a Sunday, you won’t find me in church. The truth is that the only times I ever really set foot inside a place of worship are for weddings or funerals. 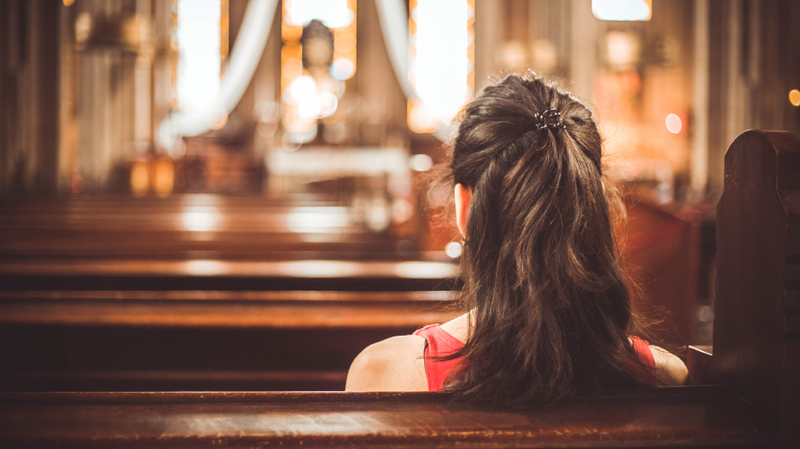 But if you go to church once per week or more, it could offer some real health benefits, according to a new study published in the journal JAMA Internal Medicine (1). The study found that women who went to church more than once per week had a 33% lower risk of dying than those who said they never went. Women who went once per week had a 26% lower chance of death, while those who went less than once per week were less likely to die young by 13%. Attending church, it appears, can help you live longer. But it’s not just a belief in God that can be thanked for these results. The research indicates that believers who didn’t attend church did not experience the same benefits to longevity as their churchgoing peers. To get the benefits, you actually have to go to church. It’s quite possible, however, that these results have less to do with where someone is or what they believe than they do with being socially engaged in their community. The study results seem to indicate that the idea of having a network, believing in something, and being socially engaged are of paramount importance to longevity. This hypothesis echoes the results of a number of other studies that show how positive social interactions can prevent early death. Church surely offers a number of benefits, such as a place to worship, but it also offers social support, civic engagement, and a meeting place for friends. These qualities are not exclusive to places of worship, and can also be found at your local library, art class, community center, gym, book club, or classroom. Social engagement has been shown to be nearly as important as diet and exercise for longevity (2). So as long as you find ways to get involved in something that keeps you motivated and engaged—whether it’s praying at church, learning a new skill, playing golf, or taking an exercise class—you can increase your chances of living a longer and healthier life.